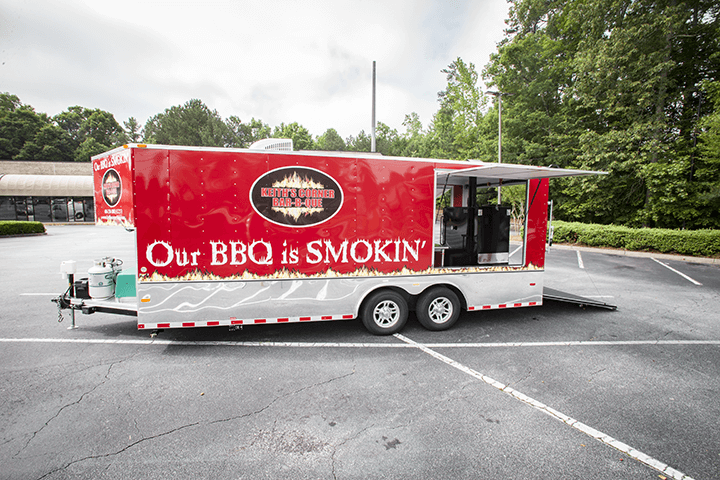 Build exclusively for Stump’s Smokers and to our spec’s by Horton Hauler. 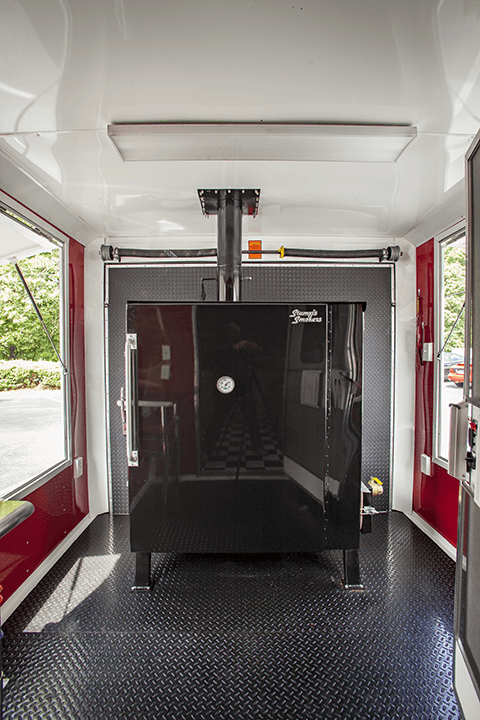 This Porch Model Enclosed Trailer is the setup most teams look for in their quest for BBQ superiority. 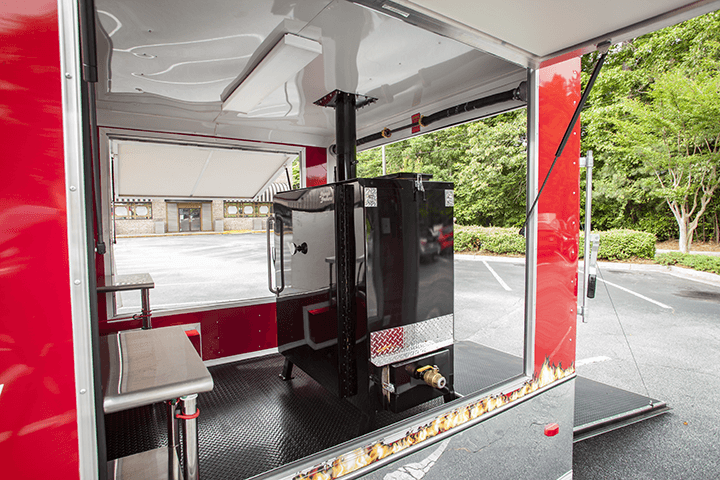 Loaded with options to help facilitate ease of use; this trailer encompasses the space to keep all your BBQ tools readily available and it also eliminates most of the setup and site cleanup time when going to and from competition or catering event. 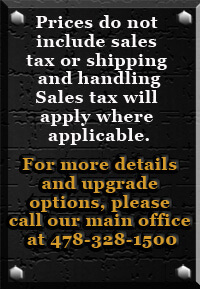 Our decision several years ago to move our emphasis from enclosed trailer manufacturing to custom build-out allowed us the flexibility to put more effort into the interior customization and build-out of each unit. The biggest asset we incorporate into our customers design is the ability to supply each customer with a to-scale working drawing of your unit before production begins. This allows our customers the freedom to change and move objects to better suit their needs before their acceptance of the final product. 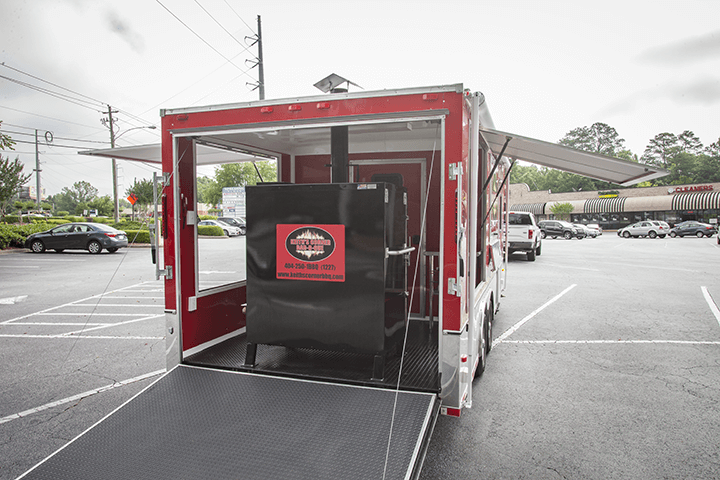 Not only does our association with Horton Hauler bring one of the top enclosed trailer manufacturers in America into our stable, but also it also assures superior products and workmanship and those qualities have always been synonymous with the Stump’s Smokers reputation.